Last week I completed my New Year’s Resolution to update my website. When I created this site last year, I was only working in encaustic; but now, I’m also making encaustic monotypes and paintings created with oil & cold wax (OCW). 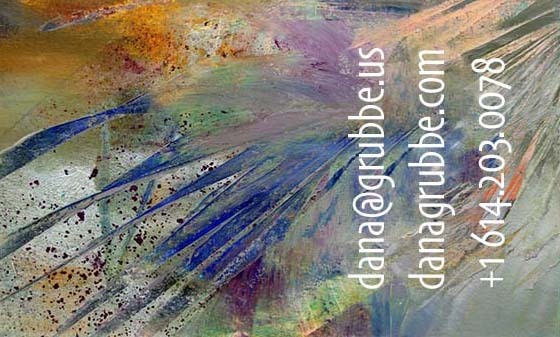 It seemed silly that I would offer someone a business card that took them to a web page that only talked about encaustics. That meant my business cards also had to be less specific and that led me down the path of looking at the websites of a dozen different artists, especially those that worked with various media, to see how they described their artistic endeavors. Several days of research (reading Artist Statements, Bios, and painting descriptions) led me to adopt the phrase Contemporary Abstracts. 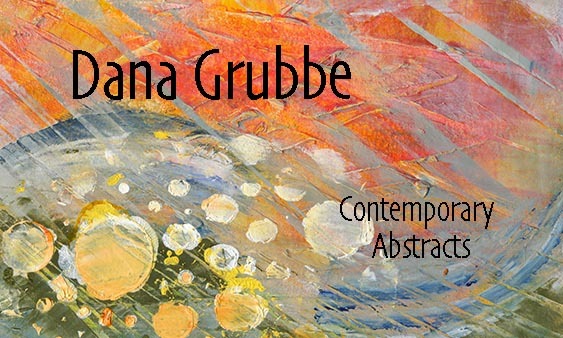 Dana Grubbe Contemporary Abstracts, with no mention of painting media became the text on the business cards (see images below). The next issue was deciding what changes I wanted to see on my web site. I wanted to showcase my different types of painting, and because my small OCW is quite different from the larger ones, I also wanted to provide separate areas for each size. And finally, I wanted my blog to be in a grid format, which having looked at many other web sites, I felt was more attractive. Originally, my website opened to my blog and I would have been fine continuing that pattern but some combination of the way the software is written made it difficult to include a simple link taking people to my see my art. After a week of back and forth with Elegant Themes Tech Support (great service and easy to work with); I realized it was easier to start my home page with my art and offer a link to my blog; which is what you see in the screen grab above. 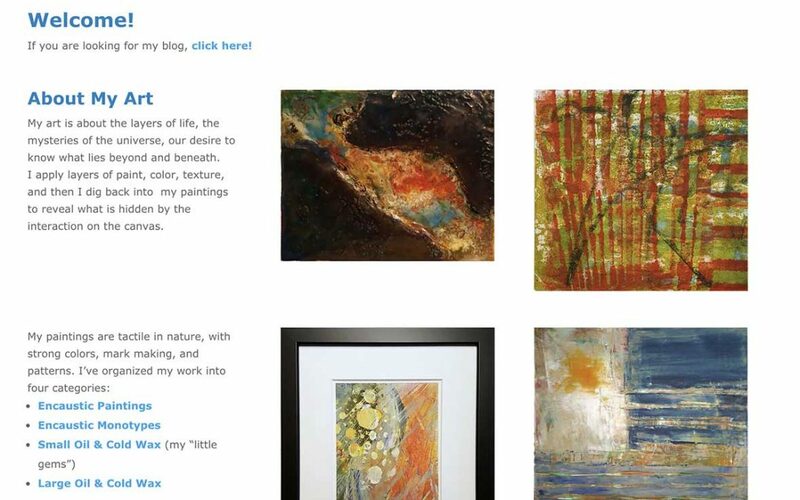 I hope you’ll take a few minutes to check out the new art galleries and the blog grid.